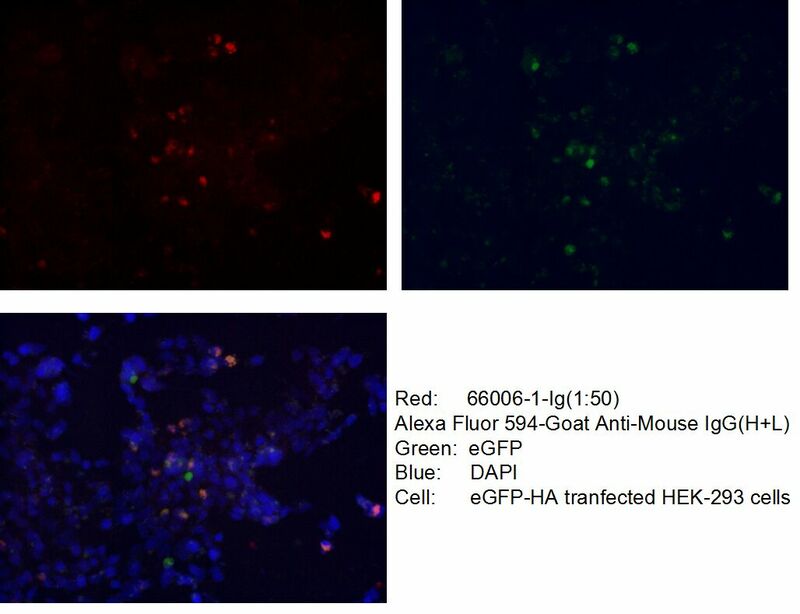 IP Result of anti-HA-tag (IP:66006-1-Ig, 5ug; Detection:66006-1-Ig 1:5000) with Transfected HEK-293 cells lysate 400ug. Protein tags are protein or peptide sequences located either on the C- or N- terminal of the target protein, which facilitates one or several of the following characteristics: solubility, detection, purification, localization and expression. The HA tag is corresponds to amino acid residues YPYDVPDYA of human influenza virus hemagglutinin(HA). Many recombinant proteins have been engineered to express the HA tag, which does not appear to interfere with the bioactivity or the biodistribution of the recombinant protein. This tag facilitates the detection, isolation, and purification of the proteins. 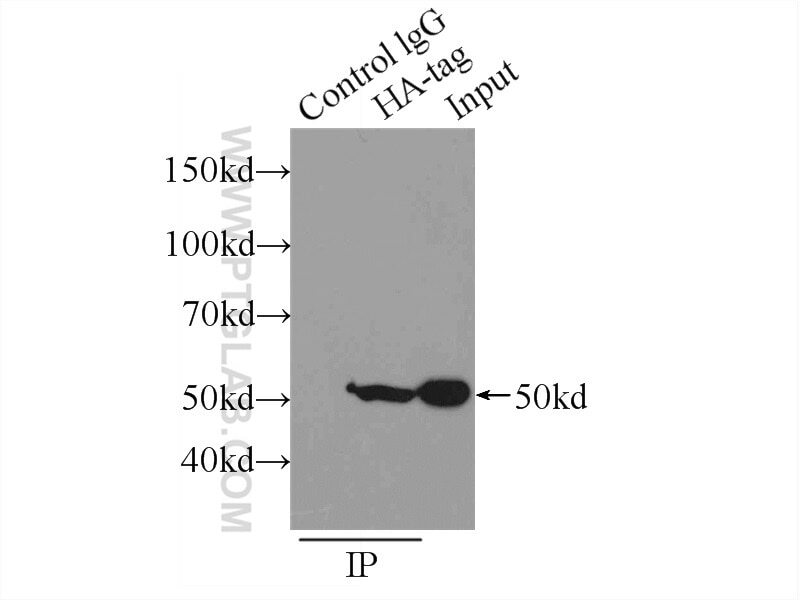 The HA tag is useful in western blotting and immunohistochemical localization of expressed fusion proteins when examined with antibodies raised specifically against the HA-tag. Eimeria tenella: 14-3-3 protein interacts with telomerase. Identification and characterization of multiple rubisco activases in chemoautotrophic bacteria. Competitive inhibition of lysine acetyltransferase 2B by a small motif of the adenoviral oncoprotein E1A. BAR Domain-Containing FAM92 Proteins Interact with Chibby1 to Facilitate Ciliogenesis.